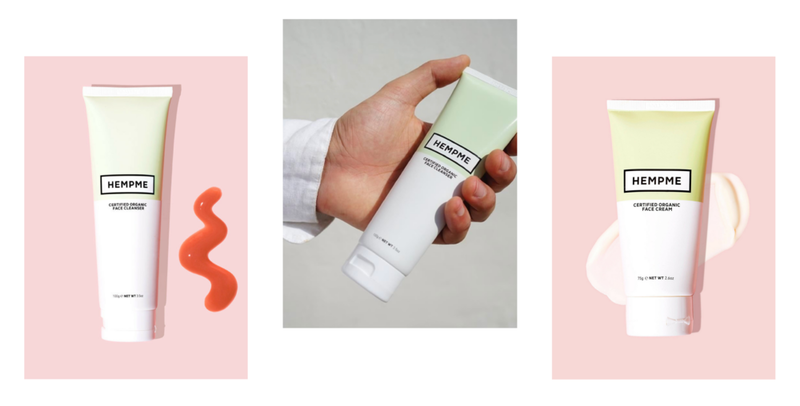 If there’s one thing we love here at EME, it’s a good face cream; an organic, cruelty-free, ethically made one that’s preferably in a biodegradable tube (we’re not picky at all). We’ve been lucky enough to trial some and we may have a few faves… Here’s a little secret for you: Hempme is one of them. 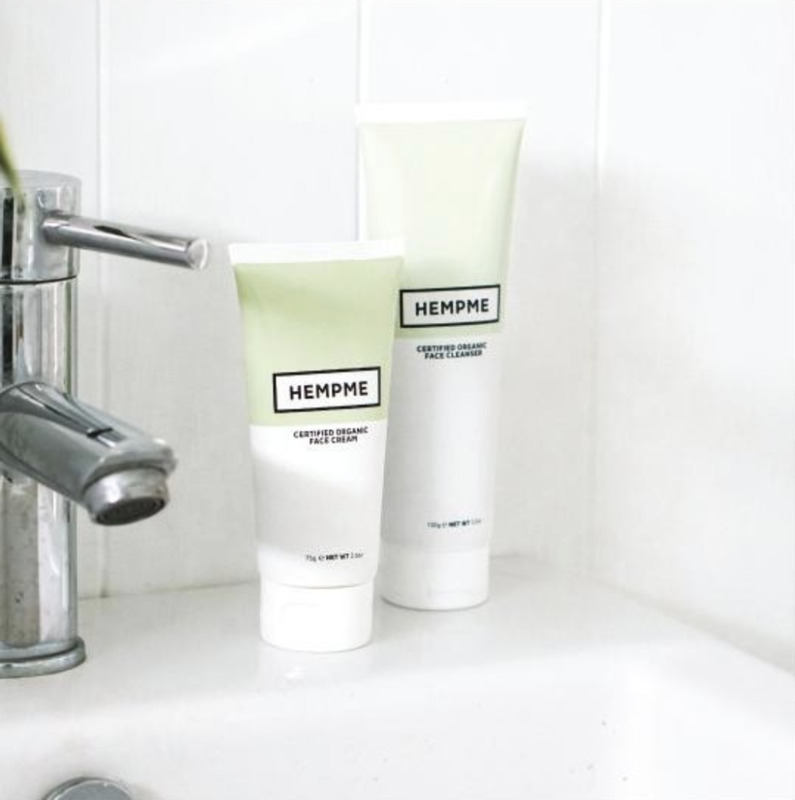 Hempme is an all-natural, Australia Certified Organic (ACO) face cream that is made right here in Aus. As the name suggest, this face cream is made from cold pressed hemp seed oil; oil that is proclaimed to be the most balanced oil found in nature. Pretty groovy, huh? Also, just a quick note: products that carry the ACO label have met a certain set of high requirements through all stages of the product line, meaning you, as an awesome conscious consumer, can purchase with peace of mind. Despite its often negative association with cannabis, hemp seed oil has a huge amount of benefits. It hydrates the skin, has antibacterial and anti-fungal properties, and contains essential fatty acids that are required for optimum human health. Hempme also contains other natural soothing ingredients including Aloe Vera, Chamomile Extract, Jojoba Oil, Kakadu Plum Oil, Green Tea Extract and Argon Oil. Oh, and Hempme have even put their seeds into the facial cleanser basket! We’ve been using the cleanser and the moisturiser for a couple of months now and our skin feels like a baby’s bum. Hemp can be used to make paper, textiles, building materials, plastics, and so much more. One acre of hemp grown in a single season (12-14 weeks) produces as much paper as up to four acres of trees, trees that take years to grow. Hemp can be used to produce fibreboard that is stronger and lighter than wood. Hempcrete combines hemp and line to create a concrete-like material used to build homes that are well insulated, pest resistant, fire retardant, and fully recyclable. Hemp fibres are longer, stronger, more absorbent, and more mildew-resistant than cotton. Overall, hemp is the strongest, longest-lasting, and most durable natural soft-fibre on the planet. Hemp is an incredibly powerful and versatile substance that Hempme is utilising in all the right ways. The Hempme website also highlights the many qualities and uses of the hemp plant, and if you’re at all interested, we definitely recommend you go and have a read. Or just go to the website to grab some face cream for yourself. You’ll be doing yourself a favour with either. PS. THEY have also given us a 15% OFF code for all of you, all you need to do is use EME4HEMP at checkout. An interview with Leigh Olsen, the co-founder of Hempme. What made you start Hempme? My partner (Alec) and I really liked the idea of working for ourselves and are both huge hemp fans! The more we researched into hemp, the more amazing use cases and benefits we discovered. The misinformation surrounding this plant has led it to be completely underutilised, so we want to help educate and straighten the story on nature’s most versatile plant. I have also been using hemp seed oil on my skin for years and knew of its amazing skin benefits, thus Hempme was born. What is something others wouldn't know about hemp that you think they should? Hemp has widely featured throughout human history for thousands of years. Hemp’s versatility and sustainability are second to none. This amazing plant can be used to produce clothing, paper, bio-plastics, shelter, rope, canvas, food, fuels and medicine. It also requires very little water to grow – developing from seed to harvest in less than 3 months, whilst breathing in 4x more carbon dioxide (CO2) than trees. It’s the super plant of all plants! Launching into an industry both Alec and I have had no previous experience in. This is our first business and we have had to learn a lot on the go. We have learnt a lot from our mistakes and are lucky that we have such supportive family and friends! Within the ethical fashion community, there's a big question that we ask which is 'Who made my clothes? ', In the scope of Hempme, who made your products? Can you tell us a bit about them?Hempme is manufactured in Bryon Bay, Australia by Cawarra Cosmetics. Cawarra specialises in producing organic and natural products and have been in the industry for over 35 years. They also became a certified organic processor over eight years ago. In a bid to up their eco-friendly efforts, Cawarra recently made their factory solar powered. “The greatest danger for most of us is not that our aim is too high and we miss it, but that it is too low and we reach it.”- Sir Ken Robinson. Taking the first step is definitely the hardest part. There is always a lot of self-doubt and what if’s before starting out. This may sound a tad cheesy but believe in yourself! There is an abundance of quality information available online—utilise this! Where do you envision Hempme in the future? We would like to have built out our skincare range; we are currently developing our second product and are aiming to have it on the market later this year. We would also like to have a good international presence, and look at expanding into other hemp markets. It’s an exciting time for the hemp industry - hemp has recently been legalised as a food source in Australia and New Zealand. We are inspired by the capabilities the hemp plant can offer and doing our part to try and encourage a more sustainable future. At a time of unprecedented climate change and population growth, the hemp plant can play a big part in helping the world move towards a more sustainable future and we want to help spread the word! I like to exercise first thing in the morning; I find it really sets me up for a productive day! I find myself more energised and creative after a morning workout. Harry Potter, because I am a die-hard fan! Are there any others Movers & Shakers out there in your world that you think people should know about? James Balog is a photojournalist whose work looks at the relationship between people and nature. He founded the Extreme Ice Survey (EIS) a long-term photography project that gives a visual voice to glacial melting and the planet’s changing ecosystems. The EIS setup time-lapse cameras watching over 24 glaciers in Antarctica, Greenland, Iceland, Alaska, Canada, Austria, and the Rocky Mountains. I highly recommended watching his documentary ChasingIce, the cinematography is simply stunning and he visibly shows the side effects of global warming in the most breathtaking way!